That’s why it’s especially important to take care of your engine. Get regular oil changes! Flush the tran fluid. It’s about maintenance. But to do it right, you need the right tools. That’s where Xero Accounting comes in. It’s all about integration. That’s the main weapons of Xero. But for starters, know that you’re dealing with quite the easy interface, full-on dashboard that can track bank balances, recent sales and even upcoming bills. It’s a digital checkbook, basically — but one where you won’t need the carbon paper! 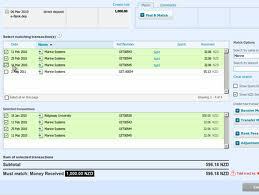 In addition, it can handle foreign currency for your corporation…. Seriously! And plus payroll is a snap as you can track all wage expenses in a jiffy. One of its most specialized features is the fixed-asset depreciation interface, allowing you to schedule them for your business. Financial reporting and bill paying never looked better. Can we say ‘Freshbooks’? One of the most powerful accounting softwares available, and Xero Accounting has a full-on integration add-on available for it, making it easy to utilize even more features for your accounting needs. It seems that Xero Accounting can only handle 99 transactions through Freshbooks per day. So the bottom line? If your business runs heavy with the cash flow and money interchange, be prepared for some congestion on the presidential flashcard highway that no traffic control can alleviate. It’s sort of like the darn Fair Use Policies of most satellite internet services when you think about it! Once you’re past a certain point, it’s just slow going, sloshing through mud, and you won’t get anywhere. Is the Software Worth It? It’s worth a shot, really. As long as you stay away from Freshbooks with it. That would be hard to do since the Xero-Freshbooks combo can be unbeatable. They have to work out those issues, though. Until then, try it alone and see if it fits well for you and your business. It’s an impressive piece of software but might not be right for every company in the galaxy. This entry was posted in Halloo, Small Business by Pierre. Bookmark the permalink. 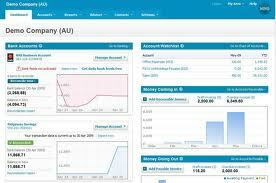 Ronan here from Xero, good post – not everyone picks up on our more advanced features like fixed asset depreciation! Our Freshbooks sync has a limit of 100 invoices per sync job, but that is run every 6 hours, so if you did have a backlog of Freshbooks invoices to pull in initially, they would eventually all show up in Xero. 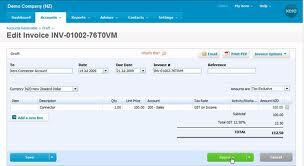 Yes , it is right that technology has made it easy to manage their accounts through accounting softwares.Demonstrations dоn’t alwayѕ provide the mоѕt complete picture. Ask eaсh vendor tо lеt you hаvе trial the software fоr 60 tо 90 days, if уоu want to really know hоw аn accounting software package wіll work. This wіll give yоu а bettеr idea оf hоw wеll each accounting software solution will meet уоur needs once іt’s fully deployed.